I looked forward to day 26 all month since initiating this writing challenge. Xiananigans likes, follows, browses, bookmarks, and reads far too many blogs, making narrowing the selection to five difficult, ultimately including honorable mentions. 1. Jocelyn Eikenburg’s Speaking of China – “A blog about love, family and relationships in China, including AMWF love.” Jocelyn featured this double happiness story, and guest posted a Q and A on Xiananigans. She is always on the lookout for guest posts from love, dating, family relationships in China to AMWF and even raising biracial/bicultural Asian children. 2. Author Susan Blumberg-Kason’s blog – Xiananigans reviewed Good Chinese Wife a little over a year ago. Check out her photo fridays where she often features images from her time in Hong Kong and China. 3. Shandongxifu – Although not updated regularly, the author shares snippets from her life stateside, married to a Chinese man from Shandong. This post sheds light on a sensitive global topic, in which awareness in China lags lightyears behind where it should be. 4. Broadside – Stepping away from AMWF-related blogs momentarily, this blog, written by a journalist, came highly recommended by WordPress. She covers topics ranging from travels, freelancing, the state of journalism, interweaving current affairs. Stop by her blog for the candor and stay for the advice; you do not need to have a deep-seated interest in journalism to appreciate both the candor and advice. 5. Paper Planes – A travel and expat maven posting articles mainly covering Southeast Asia, Thailand in particular, where the blogger resides. The blog’s best feature is the “Day-to-Day,” revealing the intricacies of an expat’s daily life from London to Kuwait and even Sichuan, Shaanxi’s neighboring province to the Southwest. And the honorable mentions: Crazy Chinese Family, A Kindle in Hong Kong, Texan in Tokyo, Two Americans in China, Offbeat Marriage, Appetite for China, Living a Dream in China, China Elevator Stories, Diaries of a Yangxifu, My Hong Kong Husband, When West Dates East, Behind the Story, Ray Hecht, Eastern Kicks. 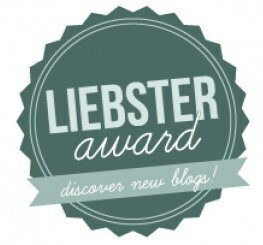 Here’s to hoping the five favorites plus honorable mentions satiates your blog thirst for awhile! Keep up with Xiananigans’ 30 day writing challenge on Bloglovin and Facebook. Reach out to yours truly on Facebook, Twitter, Google +, Pinterest, LinkedIn, Tumblr, Instagram, Weibo. Oh my goodness! Thank you so much for the mention! I was so thrilled to see it on your top five list. Your blog is amazing and I’ve been looking forward to your posts every day during your blog challenge. It’s so funny that I first learned of Xiananigans from Jocelyn when you got married and posted photos from your wedding. Little did I know we had so much in common and would meet in person. Thank you again! Thanks for the mention – appreciate it and glad to know you like the “Day-to-Day” series, they’re fun to put together! There are still a few blogs I havent known about so far which needs to be changed right now! Some of these I follow, and some I’ll have to check out! Thanks, and thanks for the Honorable Mention!